Overall satisfaction levels fell by 9 points to 718. Singaporeans have expressed growing discontent over their existing credit cards with overall satisfaction falling 9 points to 718, according to a yearly study conducted by market research firm J.D. Power. The downtrend comes on the heels of a 30-point improvement in 2017 and 2016 as consumer discontent coincides with a drop in satisfaction over the credit card issuer’s rewards programme. “This drop in satisfaction shows that cardholders are not only hungry for more rewards, but also that issuers competing on rewards alone is a never-ending battle, and this is not financially sustainable in the long term,” Anthony Chiam, regional practice leader, financial services at J.D Power said in a statement. Explosive mobile usage in Singapore which has lent support to digital banking came at the expense of slower growth in the uptake rates of credit card mobile apps, the study noted. Mobile app usage has lost pace as growth slowed to 8 percentage points in 2018, reversing gains from an 18-percentage-point expansion in 2016-2017. In fact, nearly half (44%) of cardholders have indicated their willingness to apply for credit cards of non-bank companies if the rewards and benefits package are attractive enough. 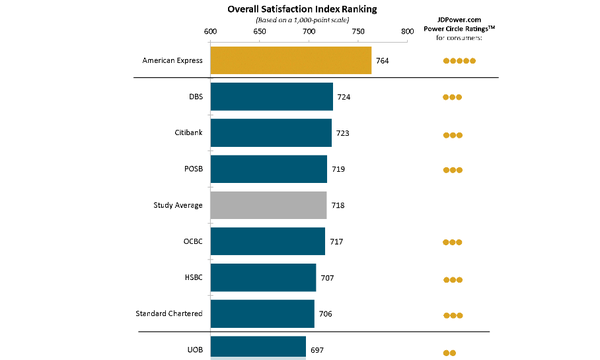 The report noted that Singaporeans remain satisfied with American Express as it holds the top slot in credit card satisfaction for the fourth straight year with an index ranking of 764. DBS ranks second (724) whilst Citibank trails closely behind to round out the top three (723). On the other hand, OCBC and UOB booked index readings that were below the study average of 718 at 717 and 697 respectively. 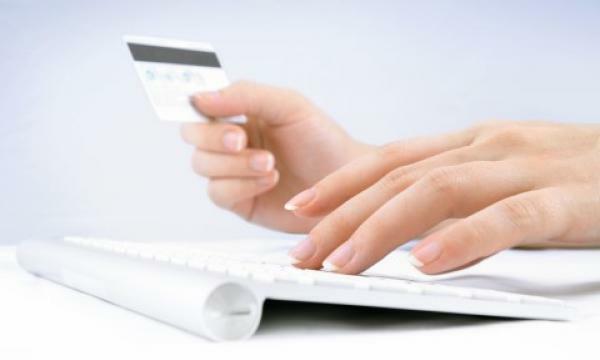 The 2018 Singapore Credit Card Satisfaction Study examines customer satisfaction with the products and services provided by their main financial institution based on customer interaction (29%); rewards (18%); benefits and services (17%); credit card terms (16%); communication (16%); and key moments (4%).